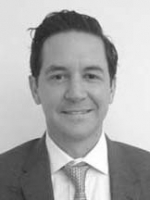 Ricardo Cervantes works in the Equity Capital Markets Group at Tishman Speyer. As part of Tishman Speyer’s Leadership Development Rotational Program, Ricardo worked with the company’s NYC Design and Construction Team and Mexico Regional Team. Previously, he founded two businesses in Mexico, focusing on customer loyalty (VivePlus S.A. de C.V.) and on construction (Materiales VICE S.A. de C.V.) and spent some time as an analyst in Merrill Lynch’s Debt Structuring Group. In addition to Concordia, Ricardo is a member of the Steering Committee of the Young Professional Association at the America’s Society/Council of the Americas, the advisory committee for Universidad CENTRO’s Master in Business Innovation Program and an advisor to Qualitas of Life Foundation. Mr. Cervantes holds an MBA from the University of Pennsylvania’s Wharton School and a BA in chemical engineering from Universidad Iberoamericana. Born and raised in Mexico City, Cervantes has a deep commitment to economic policy and development in Latin America.